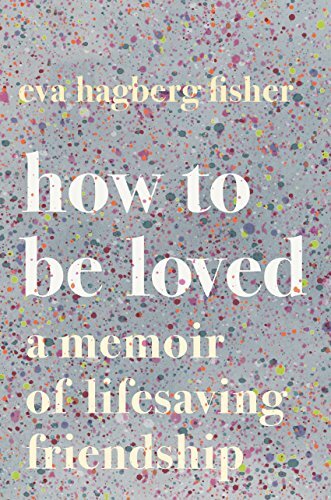 Eva Hagberg Fisher is the author of the new book How To Be Loved: A Memoir of Lifesaving Friendship. 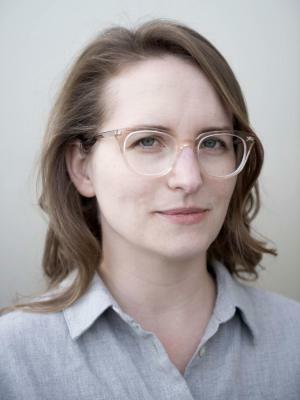 Her work has appeared in a variety of publications, including The New York Times and Tin House. She lives in New York City. Q: Why did you decide to write this memoir, and how long did it take to complete it? A: It didn’t feel like a choice so much as a necessity. A drive. I’ve always been driven to write; I’ve been a working writer for the last 15 years, and always wanted to write a book but wasn’t sure what the book should be about. 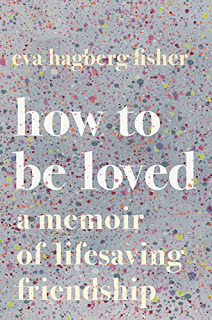 I was living in Sedona and pretty sure that my life as I knew it was over so I thought I might as well try and write about the ways in which I realized that what had really made my life meaningful was the ways in which my friends had loved me. It took me about a year and a half to write - from sale to acceptance of the manuscript. It took me six months before that to get to a workable proposal. So, two years total! A: It’s the first phrase I wrote when I decided to write a book proposal - I thought it might be a nice placeholder that encapsulated everything I wanted to talk about. And we ended up keeping it, to my great happiness. Q: What impact did writing the memoir have on you? A: I’m a very slow real-time emotional processor, so I didn’t have a TON of feelings while I was writing it - though when I first drafted the first 100 pages (which we ended up cutting, it was like 99 percent relationship drama that didn’t need to be in the book!) I had a hard time distinguishing between the past and the present and got a little torn up and ashamed. After that, the impact was overwhelmingly positive. The book started feeling like my friend. My editor was the only other person who was reading it, and it felt like this very intimate secret project that I got to do whenever I wanted to, which was often. I had a fantasy that I was going to write by holing up in a cabin somewhere, but instead I was very pragmatic about just writing for an hour here or there, going over scenes, seeing if they worked. I feel like I became a much better writer by working with my editor - it mostly felt like a really intense technical challenge; I knew the pitfalls I wanted to avoid and the emotional notes that I wanted to hit. And then feeling like I’d done that was really gratifying. A: I hope they feel like they don’t have to make things so hard for themselves, if that’s what they’ve been doing. I hope that readers have a sense that maybe being messy and imperfect with our emotions — even in public!!! — is okay. Is more than okay - it’s something that helps people. I want people to have access to my friend Allison’s extraordinary wisdom and compassion. And I also want people to take a moment and pause before they tell a sick person everything’s going to be okay, and see what’s going on for them. Basically that feelings are a really important and valuable part of the human experience and that having them won’t kill us! A: I watched the Netflix Buzzfeed News documentary and had the idea I might like to get back into reporting and … a few weeks later an editor asked if I’d like to do a bi-monthly reported column for Architect magazine. So I’m doing more short-term magazine work; writing essays related to the book. I filed my dissertation this past December and I’m slowly starting to think about what kind of book it might want to be, but I’ve been advised to let that sit for at least six months. I don’t have a next big book project; this book felt like the culmination of 15 years of getting incrementally better at thinking and writing, so I’m not in a hurry to jump right into the next project. A: The most surprised response has been from readers telling me that the book is low-key funny. Which is a delight.